This is a horribly tardy posting, but as I’ve been absent from the blog scene for quite some time, I decided to play a little catch-up. Last summer I was commissioned to retro-fit an existing confessional, that had itself become a storage closet some time ago, for use as a shrine to the recently beatified Bl. 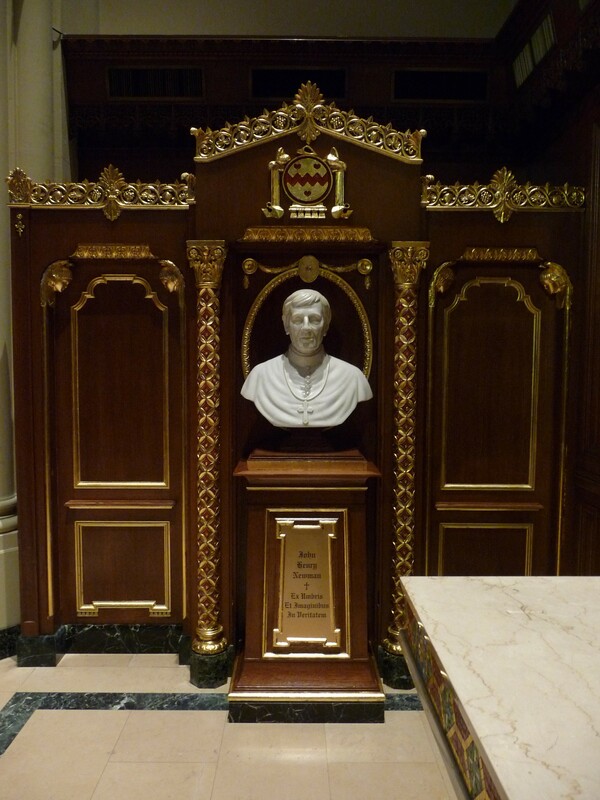 John Henry Newman in the Church of Our Saviour in NYC. It was to be the first such shrine to Bl. Newman in North America. With an extremely limited budget and existing parameters, including the bust which had already been carved some years ago, it turned out quite successfully all things considered. 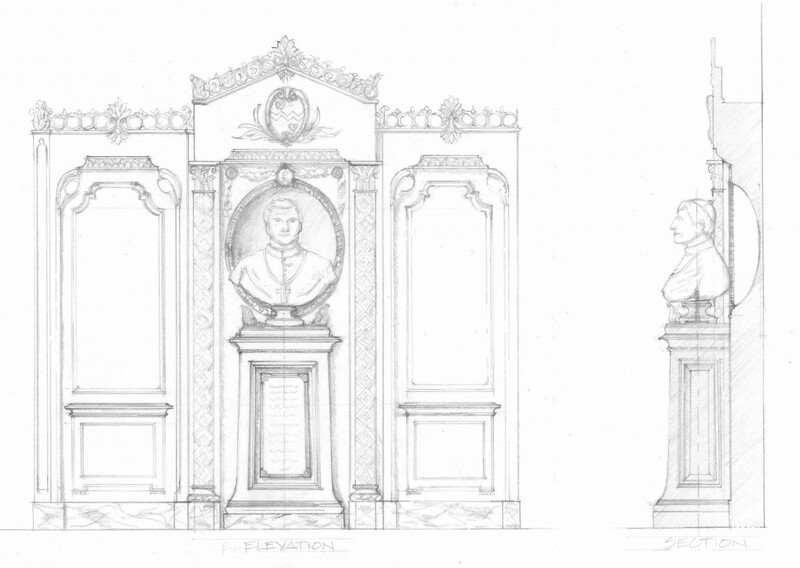 I would be remiss if I did not mention an early collaborator on the project named Matthew Alderman, who subsequently moved out of the city and thus was unable to continue the work with me, though he was able to create designs for the cartouche in the end. Below are some drawings and photos of the shrine as designed and executed, and here is the link to the original posting at the New Liturgical Movement.